Chances are if you have been to an event at the South Euclid Lyndhurst Schools, you’ve run into Jodi and Frank Turk. To say that the Turk family is involved in SEL Schools is an understatement. From being the Chair of the Scholarship Committee, the President of Arc Boosters, running the Brown and Gold Banquet, and heading the prom committee among a myriad of other volunteer roles, Jodi Turk’s energy and enthusiasm for our schools is unsurpassed and awe-inspiring. Her motivation comes from the tremendous support that she and her family has received from the school district over the years. “The teachers have been my rock”, says Jodi as she recounts the struggles her daughter Gabby has endured since being diagnosed with a rare form of blood cancer at age 11. When Gabby faced yet another of her seven surgeries and fell behind in her classes at Brush, the teachers rallied around the family and came to their home over winter break to help Gabby catch up. Due to the extraordinary support Gabby received, she did catch up, graduated with her class in 2015, and is now a freshman at the University of Akron. The three Turk children have had great experiences in SEL Schools. Rachelle, Class of 2013, was involved in Excel Tech, orchestra, volleyball, and many clubs throughout her time at Brush, and is now a junior at Cleveland State majoring in Business. Adam, Class of 2018, is in band, and plays football, soccer, basketball, and baseball at Brush. In spite of her health concerns, Gabby played volleyball, was part of the cosmetology program through Excel Tech, and participated in orchestra. The survey we posted has received 174 responses so far. Not unexpectedly, it’s a mixed bag. As many of us are all too aware, the perception of our schools does not match the reality for most families that use the schools. We were heartened by the many positive comments we received, and equally saddened by the negative comments that were posted. In order to move forward in the most positive way, we have to confront the negative as well as embrace the positive. We believe that by talking about it, we can start to make it better. We will come together as a community and work together to make our schools the best they can be. There is work to be done, but this is a community that cares deeply and we plan to harness that positive energy to achieve remarkable results. Please share your ideas and join the conversation. 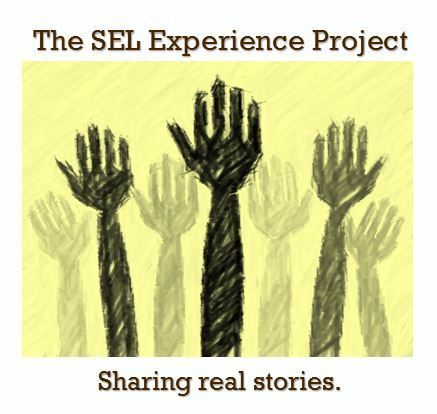 At it’s heart, the SEL Experience Project is community organizing. It’s bringing people together to share our collective concerns and wisdom to create positive change in our community. It’s not about PR, spin, or sugar-coating. We know there are tough questions out there and we formed this community to help address them. We received a new comment on the blog that we feel the community should address together. This parent loves the community but is reluctant to send her sons to our schools. We’ve reprinted her comment below with the hope that you will have something to say on the topic that might help allay her concerns, but also to improve the overall school experience for everyone. “I am really happy that there seems to be a trend here toward families staying put and investing in a walkable neighborhood with great natural resources and affordable housing. The porch parties and mini parks and neighborhood gardens are wonderful. I truly love living here. But, I hesitate to send my two black sons to South Euclid Middle School and ultimately the High School. And, it is not the kids. I wonder if the school has the skills to educate Urban Children. My daughter went to Brush and tells me how masses of black children are treated. Where are their stories in this blog? Drugs are a huge problem with a certain population here. If my boys are not in advanced placement classes how will they be treated? How will they be educated? What type of expectations and unwritten curriculum will effect them? And, don’t tell me to just listen to the stories that other families are telling. I want to see the classes for myself so that I may form my own opinion. Make the schools more open and allow community dialog so that parents and teachers/administrators can interact. I want to know more before I send my kids there.